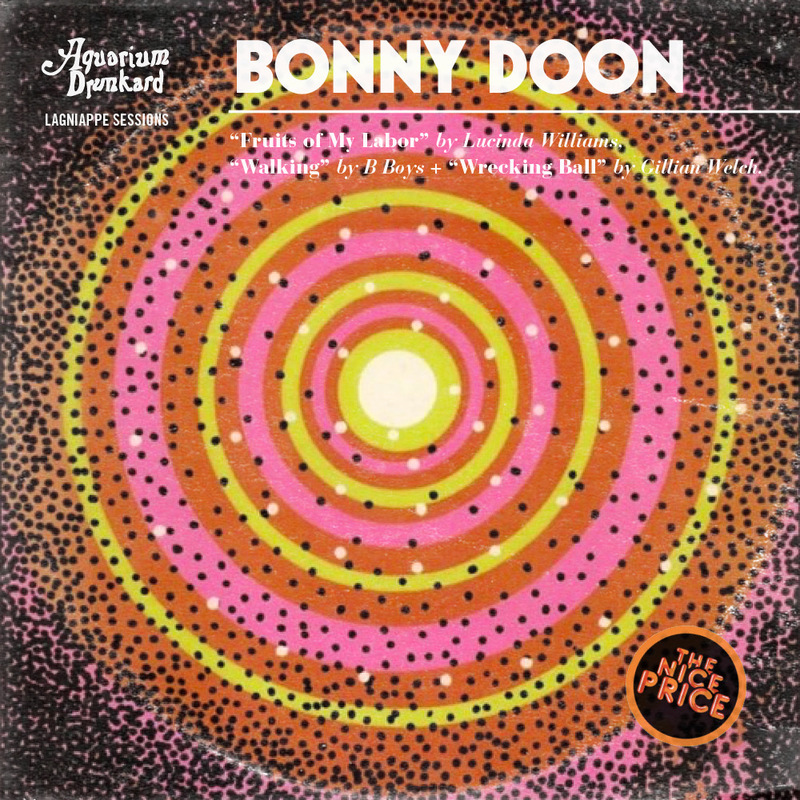 Bonny Doon’s pace is like the Mitch Hedberg joke, “I’m sick of following my dreams. I’m just going to ask them where they’re goin’ and hook up with them later.” Hedberg’s delivery, like Bonny Doon’s, belied craft: it might be a joke about slacking off, but it wasn’t written by a slacker. A year removed from their second lp, Longwave, the band delivers three covers that feel lived-in, and perfectly at home within their own strolling vernacular. The below selections showcase the timeless quality of the trio, and not timeless as in the music could be from another time. 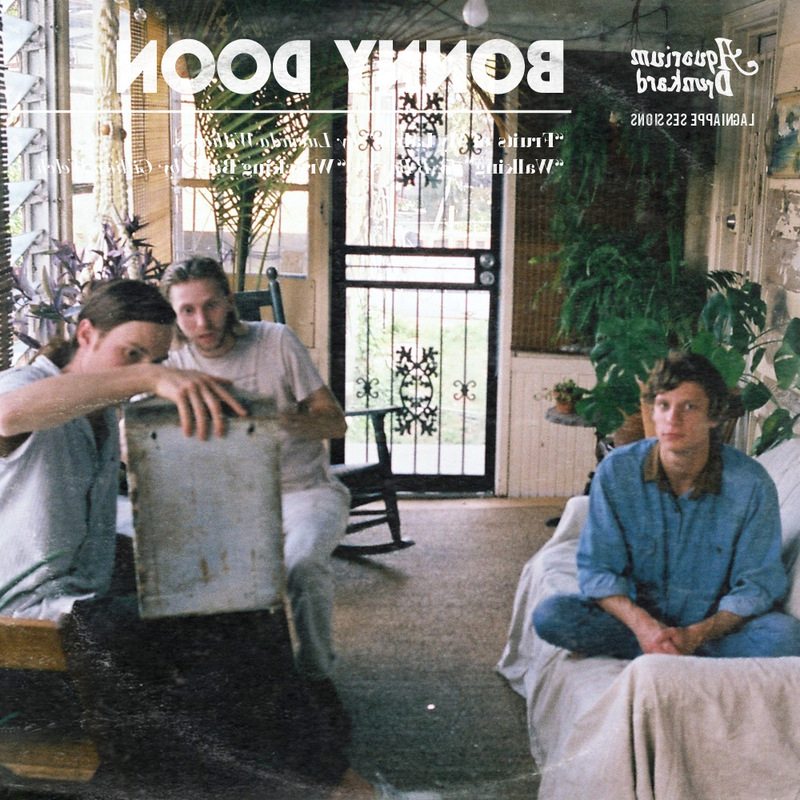 No, their sound is timeless in that it doesn’t feel constrained or compact – Bonny Doon will get around to it, whatever it is. That chorus you can’t stop humming? That languid lick that feels divinely ordained? It’s right around the corner, just have some patience. “Fruits of my Labor” really captures the essence of Lucinda. It feels like the perfect song for her voice and the lyrics are so sincere and evocative. She has so many incredible songs but this one really sticks with me. World Without Tears was my introduction to Lucinda and “Fruits of my Labor” is the first song on the record. I remember freaking out the first time I heard it and I still freak out every time I listen to it. We played with B Boys at our first show in New York. It was at C-squat and everyone had a great time and we all became fast friends. I was really interested in aiming to capture the energy of this song in our own subtle way. B Boys are such an inspiring band for me, they have an addictive spirit and life-giving energy and this cover is a love letter/thank you note to them. Soul Journey is a record I don’t revisit often enough, but when I do it always sounds true to how I remember it. Just by chance we listened to it some when we were on tour this summer. “Wrecking Ball” is a perfect song, from the writing to the performances to the production, but it’s also a California song, and I think that’s what caught my attention and allowed me to hear it in a new way since I was moving to California right after we recorded these.